Heat the oil in a non-stick frying pan. Fry the salmon all over for approx. 4 mins., remove, season. Prepare the tortillas according to the packet instructions. 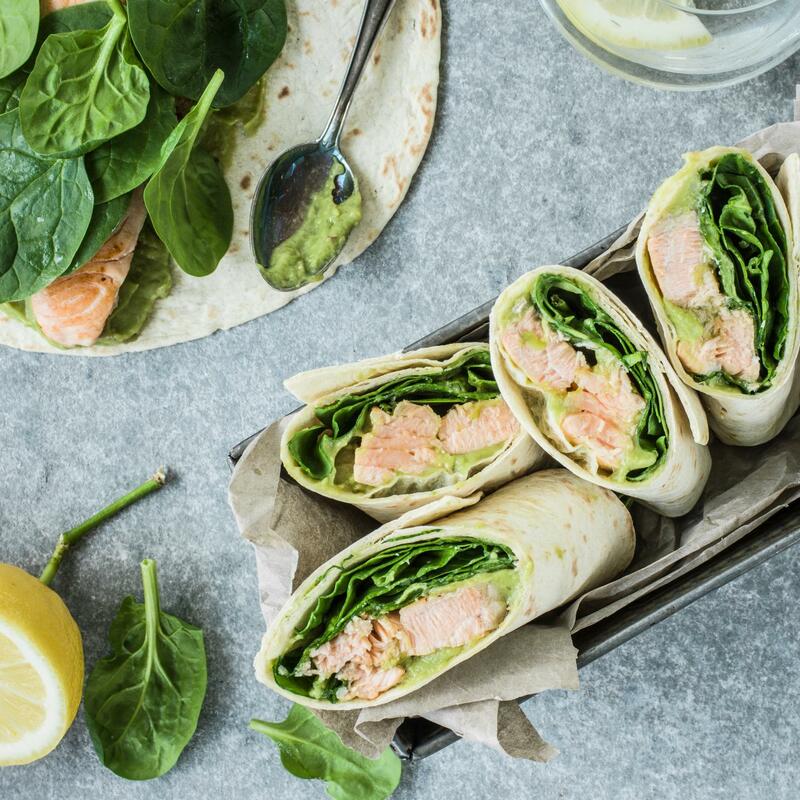 Spread the guacamole over the tortillas, top with the salmon and spinach, fold in and roll up. Drizzle lemon juice over the guacamole and salmon.